Greenshine New Energy is proud to announce the new Volta solar wrapped pole. Sleek and efficiently designed, the Volta features a 20ft. square pole with solar panels wrapped around the shaft for a more natural look. 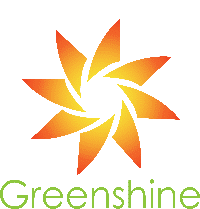 Greenshine New Energy is the first and only manufacturer of mobile commercial solar LED lighting solutions. Learn more about the Mobile Solar Tower. Greenshine New Energy is the first and only manufacturer of portable commercial solar LED lighting solutions. Learn more about the Porta Series. Cutting edge LED light fixtures, high efficiency solar panels and high quality batteries. Over 5,000 solar lighting systems installed world wide.